Gifted.PH- Gift Giving Made Easy This Valentine's Day! Get Thoughtful, Get Gifted. Happy love month everyone! It's the season of love once again, and the time when restaurants are packed with diners struck by cupid's arrow is here. It's another season of hearts, flowers, chocolates, teddy bears, greeting cards and gift-giving among couples, friends and families. Got any plans for Valentine's Day yet? Don't know what to give to loved ones this coming heart's day? 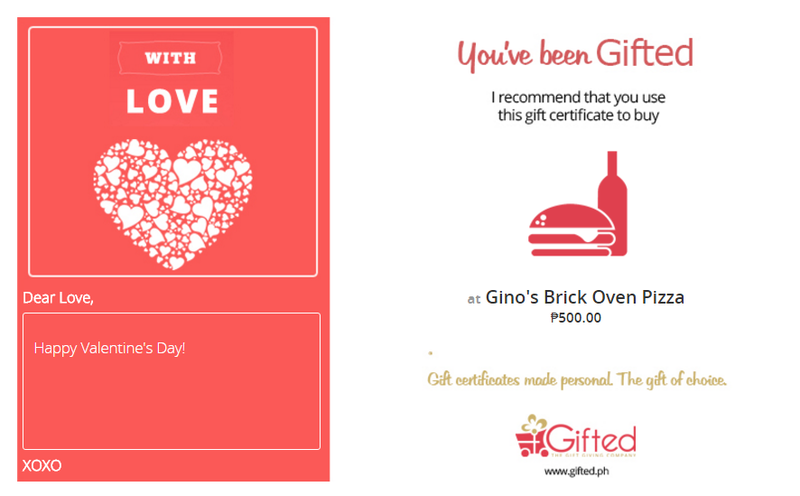 Gifted.PH got you covered with their simple, easy, and thoughtful way of giving gift cards online. Gifted.PH is an online gift certificate website where you can send personalized gift cards to anyone with just a few clicks away. Get thoughtful this Valentine's Day and choose from over 80 of the Philippines' well-loved brands and establishments. Take your special someone on a shopping spree at Bench, Human, or Kashieca, or let her have that gorgeous designer dress from Rosanna Ocampo, Maureen Disini, Charina Sarte, or Tan-Gan. How about a relaxing afternoon at Bliss Yoga after a game of archery at Benel Archery. Perhaps your guy would appreciate a new haircut at Felipe and Sons or a new read from Fully Booked. My favorite category on Gifted.PH?- Food, Drinks and Desserts. Bring your date to some of the metro's gastronomic dining destinations. Take her out to any of the Raintree Restaurants- Chelsea Kitchen, Stella, Rocketroom, Kabila, Museum Cafe, Terraz, Saboten, or enjoy a sumptuous buffet at Makati Shangrila's Circles Event Cafe. Go Japanese at Sandaya Yakiniku, French at Le Jardin, or Spanish at Alba Restaurant. Experience shabu-shabu at Huat Pot or go for a casual date at Gino's Brick Oven Pizza. Whatever it is, you are sure to give the gift of freedom of choice on this special day with Gifted.PH. So how does Gifted.PH works? 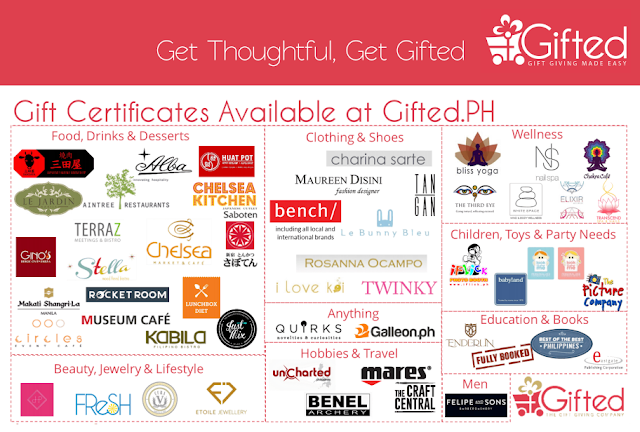 Giving and receiving gift cards from Gifted.PH is as easy as 1-2-3. 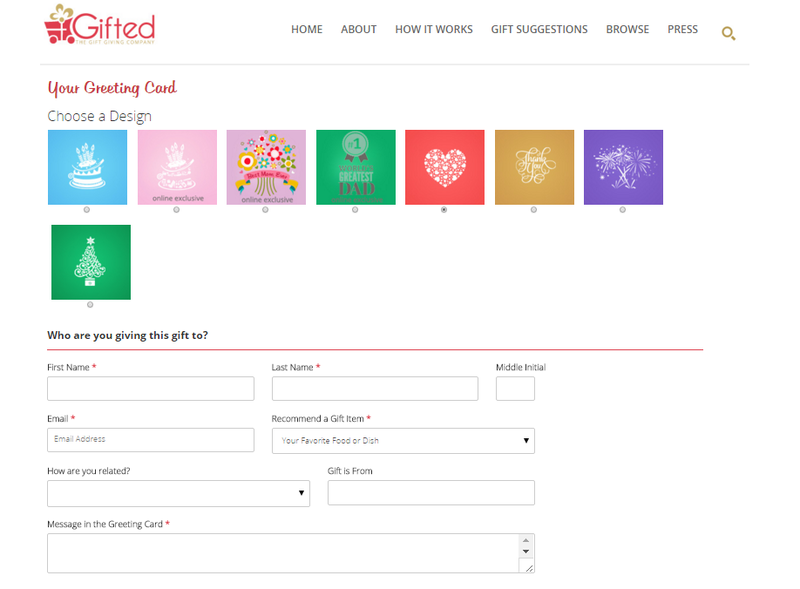 You may also customize your gift card and personalize it with a note or greeting. 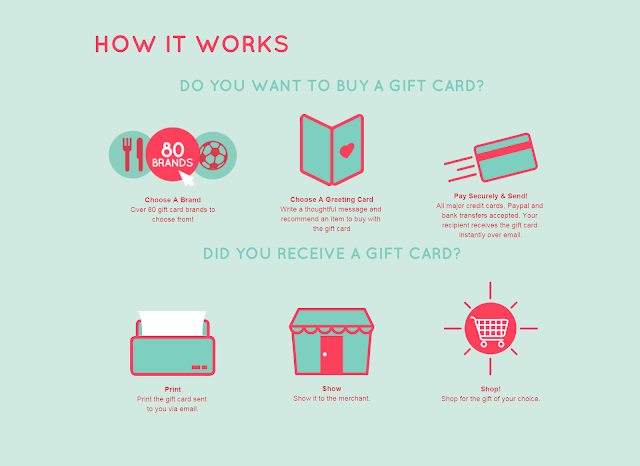 Check out is a breeze, and your loved one will receive the personalized gift card in just a few minutes. Now all he/she has to do is print out the voucher sent to his/her email to redeem the gift card. You may also opt for a printed gift card to be sent directly to the receiver's address at an additional cost. 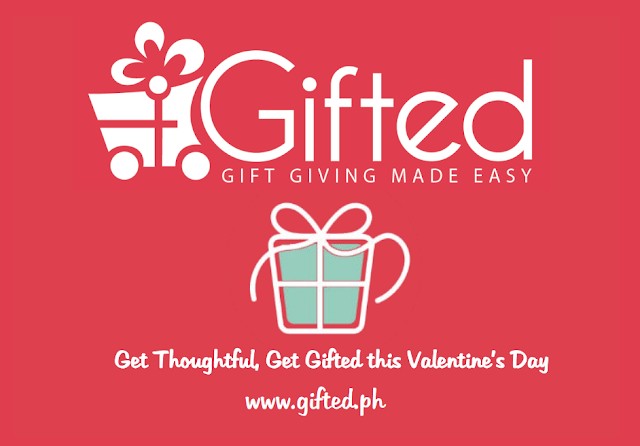 Don't settle for last minute gifts and check out Gifted.PH for some personalized Valentine's Day gift ideas. Make this day a special one and create a unique gift-giving memory to your loved ones through Gifted.PH. Check out www.gifted.ph for more information and list of their partner merchants.